Dalveer Bhandari's current term at International Court of Justice runs through February 2018. 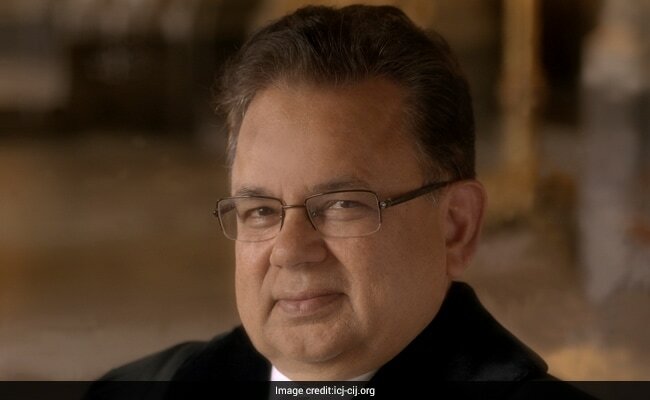 New Delhi: As the United Nations (UN) votes tonight for a new member to the panel of judges at the International Court of Justice (ICJ) in The Hague, India is wishing for its candidate Dalveer Bhandari's win. Justice Bhandari, the front-runner in the contest, faces Britain's Christopher Greenwood. 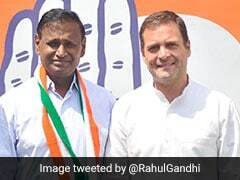 On November 9, the United Nations General Assembly (UNGA) and Security Council members had elected judges to four of the five seats up for re-election this year, with the fate of the candidates from India and Britain hanging in the balance. To win an ICJ election, a candidate needs to get a majority in both the General Assembly and the Security Council, which has not happened in this case in the 11 rounds of voting so far. Justice Bhandari has the support of nearly two-thirds of the 193 UN members. Christopher Greenwood, who has already served one term in the ICJ, is trailing behind by more than 50 votes in the General Assembly. However, he has been leading Mr Bhandari nine against five in the Security Council. Earlier this year, India had re-nominated Justice Bhandari, 70, for another term. He was first elected in April 2012 during simultaneous balloting in both the General Assembly and the Security Council to a seat at the World Court in the Netherlands. He had secured 122 votes in the 193 member UN General Assembly against 58 of the Philippines and an absolute majority in the 15 member Security Council. His current term runs through February 2018, and if elected the second time, he will serve a term of nine years. During his term at the ICJ, Mr Bhandari has delivered individual opinions in 11 cases covering a broad spectrum of subjects such as maritime disputes, whaling in Antarctica, crime of genocide, delimitation of continental shelf, nuclear disarmament, financing of terrorism and violation of sovereign rights. Before joining the ICJ, Mr Bhandari was a judge in the higher judiciary in India for more than 20 years. He had also served as a senior judge in the Supreme Court of India. The ICJ consists of 15 judges elected to nine-year terms by the United Nations General Assembly and the Security Council. In order to be elected, a candidate must receive an absolute majority of the votes in both bodies. According to ICJ's website, judges must be elected from among persons of high moral character, who possess the qualifications required in their respective countries for appointment to the highest judicial offices, or are jurisconsults of recognised competence in international law. Judges are chosen on the basis of their qualifications, not their nationality, but no two judges can be from the same nationality. Effort is also taken to ensure that the principal legal systems of the world are reflected in the composition of the court. Established in 1945, the ICJ settles legal disputes between States and gives advisory opinions on legal questions that have been referred to it by other authorized UN organs. The Court is open to all parties to its Statute, which automatically includes all UN Member States.